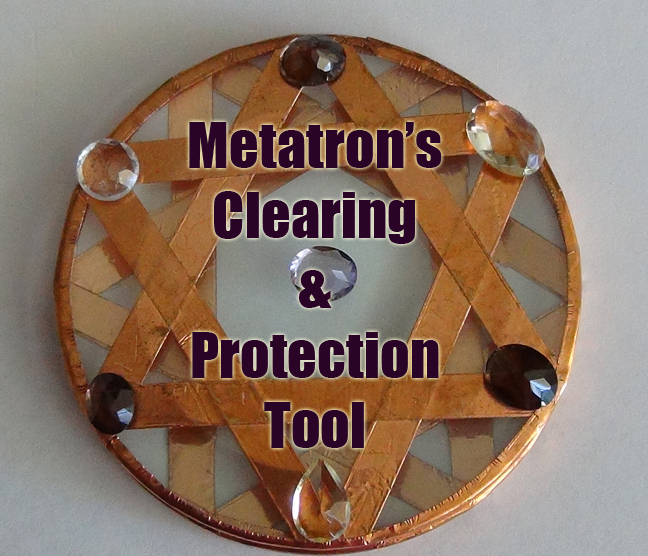 Home › AA METATRONE & MICHAEL › Violet Flame FREE Upgrade! – April 22 – April 25th. Violet Flame FREE Upgrade! – April 22 – April 25th. Dear Light Workers. I have just been informed that the next few days from April 22 – 25th. Are VERY Crucial. Please spread this message far and wide. The earth is being flooded with the Violet Flame, and all of you have a great opportunity to get a Violet Flame Upgrade. This is VERY important to your ascension process. How to do it: When you get into a meditative state, connect to the source of all that is through your crown chakra while AT THE SAME TIME connect to the core of the earth through your Root Chakra. 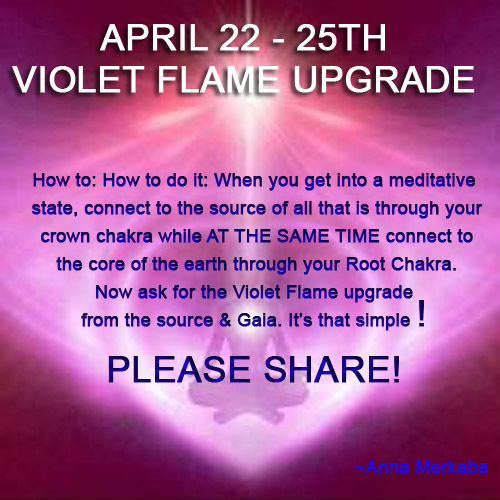 Now ask for the Violet Flame upgrade from the source & Gaia. It’s that simple! 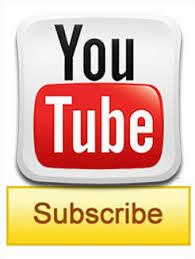 This will raise your Vibration TRI-FOLD and will help with your ascension process.